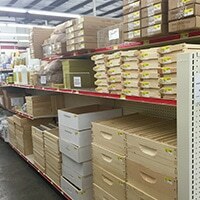 Nixa Hardware & Seed Company has been locally owned and operated since 1899. We continue to provide the community with quality products with our lowest price guarantee. Nixa Hardware’s Wholesale Seed Division features the best forage and turf-type fescues that have been selected the from Nixa Hardware’s own 500 acre research and production farm. Farmers, contractors, and residential customers can take advantage of the wholesale pricing and knowledge that Nixa Hardware’s seedsmen offer. Field Varieties include: Gainer II & Gainer III Red Clover, “Jumbo” Ladino Clover, Common Sense Alfalfa, Cold-Grazer Rye, Triticale, Safe “T” Graze Sudan, Arid Orchard Grass, Fast Pasture Mix, Abundant Ryegrass, and many more. Turf-Types Include: Ozarks Green Mix, Shade Master II, Par 5, Triple Play Turf-Type Fescue, and Icon Ryegrass, and many more. 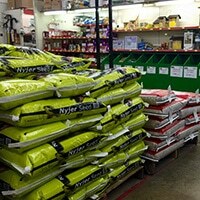 Nixa Hardware is home to the famous Magnum Fertilizer, made exclusively for Nixa Hardware to their specifications. Nixa Hardware has one of the largest stove inventories in Southwest Missouri, and in-house stove installers for your convenience. You can explore the large displays and see stoves including Quadrafire pellet and wood stoves, Harman pellet stoves, Lennox wood stoves, Ashley, Performer, and Firechief Wood Stoves, as well as many propane and natural gas heaters. A full line of stove pipe, ash vacuums, and accessories are stocked year-round. Nixa Hardware is home to Ember Hearth Wood Pellets and Ozarks Oaks® Wood Pellets. These pellets are considered the best and cleanest on the market made with 100% Hardwood, and finely screened through a 5/16” screen. Customers have reported they notice the low ash content (less than 0.5%) and high BTU rating when comparing Nixa Hardware brand pellets to other brands of pellets. Nixa Hardware’s Lawn and Garden department is one of the most knowledgeable in the area, carrying all your chemical needs. They also feature a magnificent line of water features, including fountains and pond-making materials. Year-round you can find items to beautify your yard such as bulk and bagged mulch, plants, flowers, rock, and landscaping block. During the winter months the lawn and garden department runs one of the largest Christmas tree lots in Southwest Missouri. 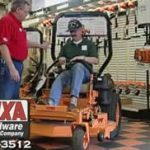 Nixa Hardware’s power equipment department features products from Stihl, Toro, Scag, and Kawasaki. 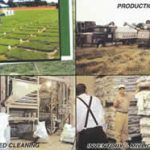 They have an extensive selection of power equipment and have gained a reputation for their competitive prices and knowledgeable associates. The mechanics in the small engine shop are certified and knowledgeable in all brands and strive to repair items quickly and efficiently. Nixa Hardware has teamed up with Carhartt to bring you the world’s toughest line of work clothes, and carry other work clothing products such as Georgia Boots, Carhartt Boots, Key Clothing, and Wrangler. 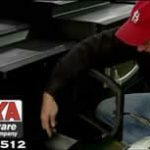 Nixa Hardware and Seed Company has an extensive line of plumbing and electrical products, meter loops, and tools for contractors and home owners alike.